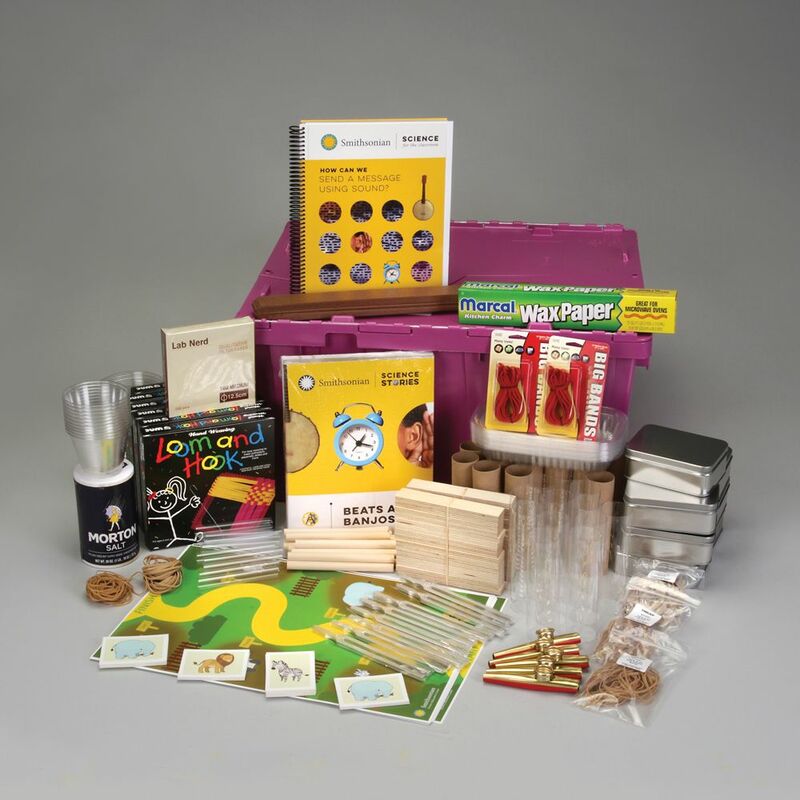 A coherent storyline delivered using a 5E approach prepares students for a culminating science or engineering challenge. Smithsonian Science for the Classroom modules follow a carefully designed “storyline” that builds toward answering a question or solving a problem. This provides a coherent experience for students with a logical progression through thoughtfully bundled performance expectations. Module storylines are carefully integrated with the 5E Instructional Model (Engage, Explore, Explain, Elaborate, Evaluate) (Bybee et al. 2006). In Lower Elementary modules, the whole module itself completes a 5E cycle. Upper Elementary modules cover considerably more content, broken down into smaller Focus Question arcs, with each arc following a 5E cycle. To ensure coherence, our developers employ backwards design (Wiggins and McTighe 2000). We begin by defining and clarifying the module goal. For us, that means unpacking the details about what students need to know and be able to do to meet the performance expectations in a module’s bundle (Krajcik et al. 2014). Then we generate ideas for a performance assessment that could provide enough evidence that students can achieve that goal. In Smithsonian Science for the Classroom modules, this culminating performance assessment is a science challenge (for our science strand modules) or a design challenge (for our engineering strand modules). Challenges are designed to collaboratively engage groups of students in multiple overlapping practices and require them to synthesize the bulk of the Disciplinary Core Ideas and Crosscutting Concepts they have been developing. Balloons become an engagement tool as students begin to learn about forces that act at a distance. Working backwards, we then design a sequence of smaller questions that, once answered, would adequately prepare students to succeed in the performance assessment. In our Lower Elementary modules, which are designed to be completed within 10 short lessons, these questions are posed and answered at the lesson level, following a 5E progression. In our Upper Elementary modules, which are designed to be completed within 15 lessons (up to 20 class periods), these take the form of Focus Questions that span multi-lesson story arcs. Each Focus Question follows a 5E progression. 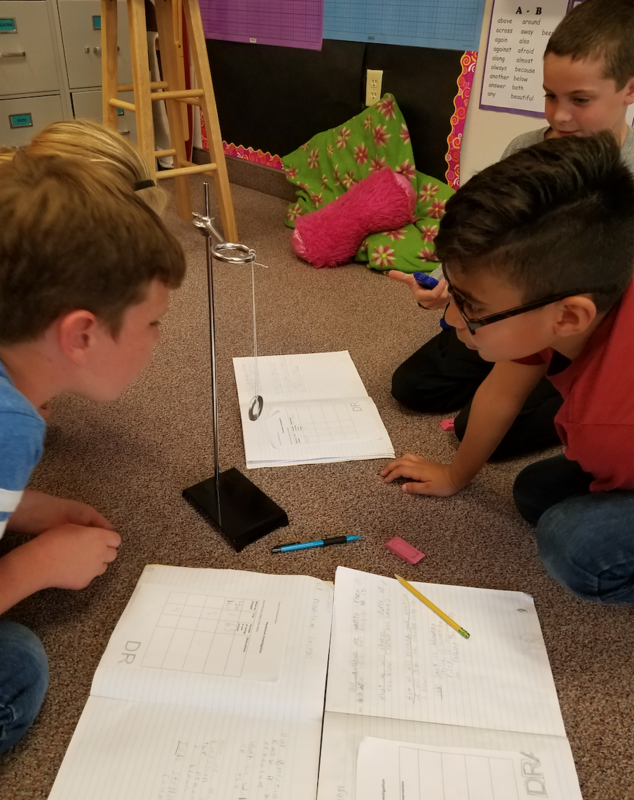 Students explore pendulum motion as they answer the question: How Can We Predict Patterns of Motion? Bybee, R. W., J. A. Taylor, A. Gardner, P. Van Scotter, J. C. Powell, A. Westbrook, and N. Landes (2006). The BSCS 5E Instructional Model: Origins and Effectiveness. Colorado Springs, CO: BSCS. Krajcik, J., S. Codere, C. Dahsah, R. Bayer, and K. Mun (2014). Planning instruction to meet the intent of the Next Generation Science Standards. Journal of Science Teacher Education, 25(2), 157–175. Wiggins, G. P., and J. McTighe (2000). Understanding by Design. Alexandria, VA: ASCD.